As wedding photographers we never are have the same experience twice. With Las Vegas being a destination wedding location we are fortunate to capture many different experiences and cultures. 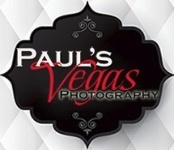 Most wedding photographers get time to know the client but here in Las Vegas sometimes we meet our clients hours before they walk down the isle. That was our experience with this wonderful couple that brought their entire families from Nigeria. Here is the wedding that has been proudly published in Black Nuptials.